First of all, I know that all the changes in the game ( small or big ) are hard to make and take time. But, I just want to say some of my ideas to make the game better. These are just my opinion, but please have a look. We all know and agree that our current profile in the game is cool, with the help of gallery and stuff. But I think we should have new thing to add there, and its Achievements. Quests, Pokemon owned and having lots of money dont give you anything practical. So, you can give them Achievements for those. Having more than 1mil gives you the "Richer" - Having 6+ badges give you "Road to the league" - Finish the sentret quest in Bluegum gives you "Sentret Dealer". If you look carefully, while you scrolling your mouse to the player name in the chat, you can see the text "A legend" shows up. We can switch this to the Achievement that they attached to their profile. Getting an achiement gives you the reward of it also. When you search a username in the search bar, their online status shows up along with the location they are in. But sometimes, it says "-183774s ago" which is really confusing. So, you can change this with "Online" and "Offline", thats enough. For the PC users, theres a way to zoom the game screen which is the M button. But from the 100% to 200% ( Idk the exact percentage) is actually annoying. So you can fix this by pressing it once, it shrinks to 125% then 150% and then 200%. For this, you need to change the "Esc" button use in the game. For the PC users, when you press Esc, a small menu will show up at the top left corner of the game screen, but it shows stuff in your bag, which cant actually be used in the game. So, you can remove the in-bag-menu to the new ones, and call this feature "Cellphone". - Egg checker : Helps to check your pokemons breeding and your eggs status. - Farm checker : To check the berries and other product, like Honey, Carrots. This has been suggested many times, but Imma try again. To change your name IN THE GAME, you need a special item called "Naming Ticket" which costs token to buy. You cant change your name in 2 months since the last time you did. And when other players check your profile, they can see your old names aswell. 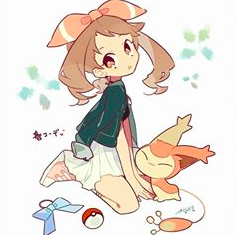 Umm we already have this on Leadboards and how Many Pokémons does user have. Only Money is not shown if you have lower than others.We just don´t have Achievements in game I think. When you search their name and they are still on it would show when they login in.So it is kinda confusing. +1 Not really important feature atm,but I agree. I don´t know about this one. +1 A link to Orden map in this feature, could be also useful. It can be a map that shows where you are Physically or just a link to the map of the game like the one you can find on discord or IRC. 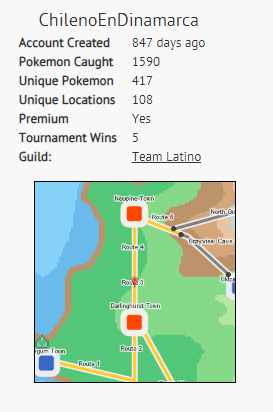 I say this cuz there is a map that shows your location in your Pokemon Legends ''User Profile'' https://i.imgur.com/Ms7hCjk.png and as you can see, right now I'm on route 3. Profile Achievement: +1 That would be fun and give players something to work towards while they wait for updates/events. Online Status: Already fixed a long time ago (If a player logged in 1 minute ago, it would truly say 1 minute ago). It would be nice to show when someone is currently online, but if this was made a feature then there should be a way to turn off your online status as well, since some players may want to play the game in private and not be bothered (though game staff can still override this and see if the player is truly online). Zooming Feature: Not necessary since you can freely zoom or unzoom as much as you want using the inherent zooming capabilities of your internet browser. For example, in Google Chrome on a Mac, you can click on View --> Zoom In/Out. Cellphone: Although would be helpful and suggested numerous times in the past, cannot be done since the NPC only checks on the status of your egg/berry when you interact directly with that NPC, not through some cell phone or alerting system. Changing Name: Sure, that could be some token item. I'm indifferent to this suggestion. What about actually working TMs, Pokémon White battle music and battle animations? I have had to pay for TM Earthquake 7 times today, and assuming Pokémon mechanics in this game are from B/W and above, I think TMs are reusable. I’m not asking the devs to do it now, as they already have a TM system in place and it’ll be a pain to change it. I’m saying if they ever finish the storyline, TMs and PC boxes are a possible consideration. First of all, for your suggestions you can make a separate topic. Secondly, I remember you suggesting that about HMs/TMs, the topic was answered and locked - I believe the reply was on the lines of "This game is based on Gen 6 mechanics". Doesn't necessarily mean it has to follow all if them. You say you bought Earthquake 7 times today. Why? Just for the sake of it? There can be only 6 Pokemon in your team, and giving EQ to all Pokemon in your team makes no sense. Anyways, buying system directly makes it easily available to newbies and pros alike. Just pay and buy. PC boxes? All your Pokemon are stored in one place. 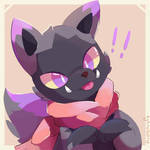 Remember that some pokemon can learn EQ and many other moves through TM-HM and also breed as well.. Some Pokemon can just learn a move through one way only. But... If you fx want to give EQ to 7 Tangrowth (can only be given by buying EQ on skill menu) because you want to sell them, you can only buy EQ from the skills menu.. I recommend you to just leave them as they are and the user who wants that Pokemon can buy the skill by him/her self, OR, you can increase the price of the pokemon being sold if you bought EQ or another powerful/expensive move. So passing TMs down on Grotto pokemon or Pokémon you only have one of?